We’re known as smart, savvy, honest, compassionate, and effective job injury lawyers who are highly respected among other workplace accident attorneys, insurance adjusters, and judges in Philadelphia and the Lehigh Valley. Most of our work comes from workplace compensation client and work injury lawyer referrals. We’ve both been recognized as Pennsylvania “Super Lawyers,” an honor given to only 5% of all lawyers in the state. 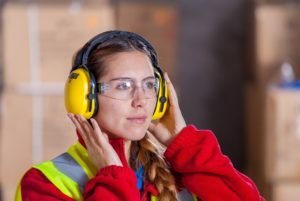 Let us put our decades of work related accident experience to work for you, helping you navigate the complexities of the Workers’ Compensation laws. Our singular goal is to secure the maximum workers compensation and full injured at work benefits to which you are entitled. 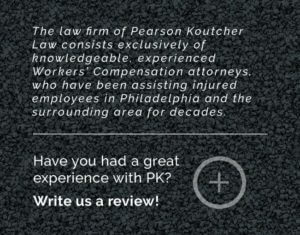 Contact us, PEARSON KOUTCHER LAW, today to schedule your free consultation for your Workers’ Compensation matter. We believe that when we win a work-related injury case, it’s not just a win; it’s changing your life for the better.